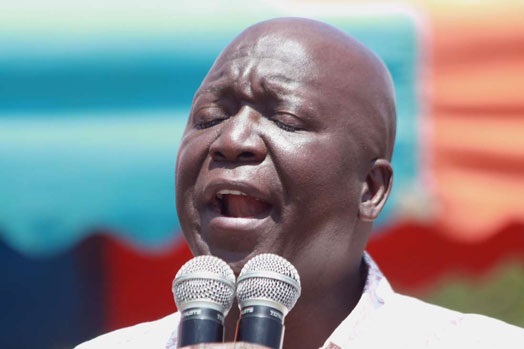 Tuesday February 26, 2019 - Former Gem Member of Parliament, Jakoyo Midiwo, has hailed the Jubilee administration on its intensive war to end corruption in the country. Speaking during the NTV AmLive on Tuesday morning, Midiwo particularly thanked President Uhuru Kenyatta for leading the charge against graft, stating that the war is being won thanks to him. At the same time, he challenged the investigating authorities to clean themselves for them to fight corruption fair and square. "I think we are winning the war on corruption but the authorities need to do more." “The anti-corruption agencies cannot be corrupt while at the same time expecting to fight the monster,” Midiwo stated. Midiwo called on the Ethics and Anti-Corruption Commission, the DPP and DCI to help President Kenyatta in the war on graft. He noted that the Head of State has good intentions and genuine in his fight against cartels and ending the monster called corruption. He wasn't sent my God: he cooked his own win by killing those that demonstrated against him. He the devils choice cos all he stands for and represent in his regime from abyss is demonic. Stop that foolishness you are taking about and talk the truth.